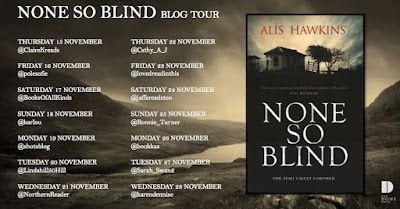 Delighted to be the latest stop on the Blog Tour for the wonderful NONE SO BLIND by ALIS HAWKINS. My thanks to the author and the publishers, The Dome Press, for inviting me to be part of it all! Will be sharing my review of this book today along with an extract which will hopefully give you a little flavour of what the book is abut! 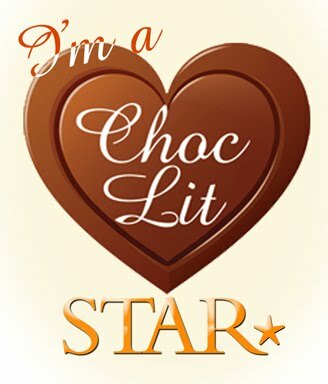 It's one you need to add to your TBR pile! When an old tree root is dug up, the remains of a young woman are found. Harry Probert-Lloyd, a young barrister forced home from London by encroaching blindness, has been dreading this discovery. He knows exactly whose bones they are. Working with his clerk, John Davies, Harry is determined to expose the guilty. But the investigation turns up more questions than answers. Gus’s curiosity was palpable as we stood in the stableyard waiting for the horses. Only his wariness of listening ears was saving me from an interrogation. Having told him that human remains had been found, I had avoided any questions he might have asked by fleeing upstairs, ostensibly to change but, in actual fact, to quell the shaking that had taken hold of me. Bones confirmed what I had always feared. She was dead. But buried? Buried implied a second party. It implied – no, surely it was evidence of – murder. A stable boy led the horses out and held them while we mounted up. ‘How far is it?’ Gus asked, nodding to the boy and taking up the reins. ‘Five minutes or so.’ In fact, had we set out to walk instead of changing and waiting for the horses, we would almost have been there by now. But it would not have done to arrive on foot. Williams of Waungilfach would have felt slighted and it was altogether too soon to allow my father to begin finding fault with me. Eyes averted so as to give me an impression of the path ahead, was aware of the stiff, leafless cages of last summer’s brambles lining the edge of the path and my mind’s eye conjured up memories of an exuberance of black-spattered bushes rambling up the slope. Blackberries and wild strawberries and damsons – we had picked them all. 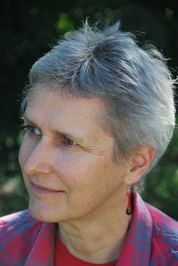 My mouth puckered at the memory of the sharp sweetness of those damsons, those days. William Williams. The sound of his voice brought a slew of unpleasant recollections and I fought down an old anger. ‘Good day to you, Mr Williams.’ I dismounted and found my reins being taken by Ianto Harris. ‘I barely recognised you,’ Williams sounded somewhat resentful. My hand rose involuntarily to my beard; even I was not used to it, yet, but its novelty did not excuse his tone. I gave what I hoped was a sufficiently forced smile to act as a dignified rebuke and proceeded to introduce Gus before clarifying why I had come instead of my father. I stiffened. I might have been little more than a boy the last time Williams and I had had dealings with each other but I was a barrister now and more than competent to deputise for a magistrate. ‘Is it not,’ I suggested, ‘simply a case of confirming that these remains are human and sending for the coroner?’ Both of which Williams might have done already, had he not been so afraid of being seen to overreach himself. Unable to look Williams in the eye and utterly unwilling to tell him why, I turned my head towards the wooded slope beside us. She was up there. That was where she had been for the last seven years. Despite all my desperate hopes and wild imaginings, she had been here all along. Dead, as I had feared. But murder… I had not, for a second, entertained that thought. 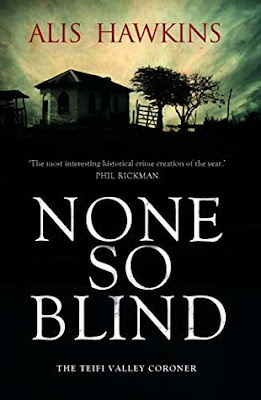 The dark and brooding cover gives you a little glimpse of what to expect when you start reading this new historical mystery series, and it's compelling stuff from the first page to the last! There's a very dramatic prologue that jumps you straight into a chaotic scene and really helps set the atmosphere for what is about to follow! 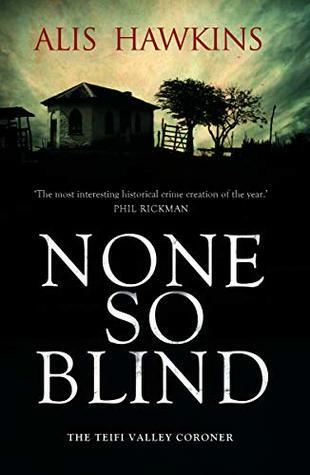 When a body is found it sets everyone back to remembering one dark night, none more so than Harry Probert-Lloyd who was dreading this discovery and is put in charge of investigating just what went on to end in such tragedy. He is a barrister who is beginning to lose his sight, but refuses to admit defeat,and teams up with a clerk, John Davies, to track down those responsible.Both characters are quite headstrong so often go off on their own quests and I found these characters, who both have flaws of their own, make for much more interesting people to follow! Their investigations take them amongst family and friends, and over to Ipswich as well to track down those who have moved away, and you're always wondering why they keep finding dead ends or those who are just plain uncooperative. The closer they get to the truth, the more troubling it is for them to want to believe. Harry and John work so well together as a team! They upset a number of people with their questions but also aren't afraid to work behind each others backs - they know they're not perfect human beings but they don't care and I think they respect that in each other! This is a book filled with dark secrets and lies, lost loves and plenty of twists and turns to keep you turning the pages with anticipation! Can't wait for more in this series!! 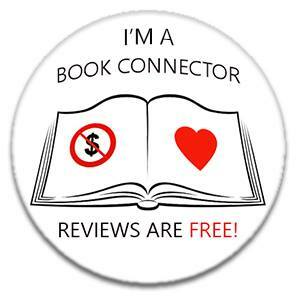 My thanks to The Dome Press for my copy in return for a fair and honest review. 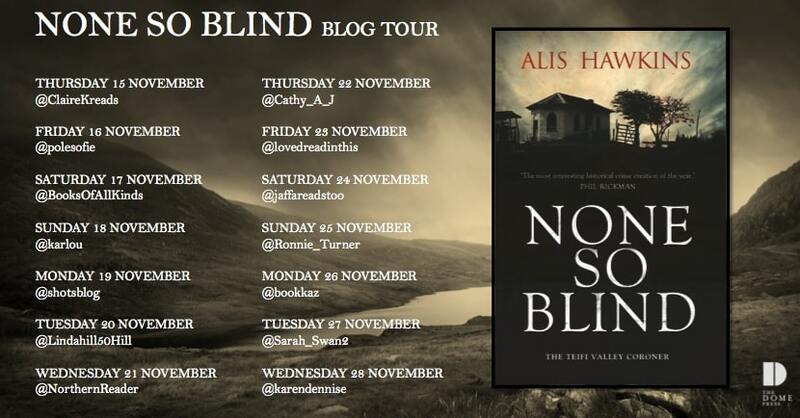 Please check out the other stops on the Blog Tour!